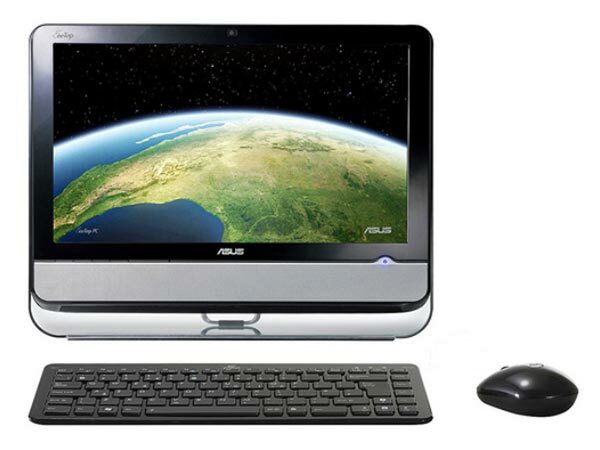 Asus launched a really nice gadget called the EeeTop ET2002T. While its predecessor, the ET1602 was an based on an Intel chipset, this one is based on the nVidia Ion platform. The touchscreen works perfectly with the evtouch driver. The X configuration for the touch screen is almost identical to that of the ET1602. Go to Web Admin on your Core and then to Wizard -> Devices -> Media Directors and scroll down to the bottom of the page. The last Media Director listed will be your recently added Eee Top. Make a note of the number with a '#' in front of it next to the drop down that is used to select the room the MD should be in. This number is the 'Moon' number or unique ID of the MD. For Ubuntu 10.10 (or 10.04) see below. Your prompt should change and you are now working on the Eee Top's file system. I found the weird modalias string using udevinfo. I also found out, using Google, that the match string can only contain values from the device itself and ONLY ONE of its parents. So you can't use more than one parrent. This explains the why the vendor and product IDs arent tested above. But the modalias contains them anyway. The touchscreen device exposes two mouse devices. So far, I couldn't get any data out of the second mouse. I can only assume it has something to do with multi-touch, but I have no proof of it. The second mouse has a slightly different modalias. Testing using the vendor and product ID resulted in /dev/input/evtouch pointing to the second mouse device, i.e. the touchscreen wouldn't work. Option "ModeValidation" "NoDFPNativeResolutionCheck, NoEdidMaxPClkCheck, NoMaxPClkCheck, AllowInterlacedModes, AllowNon60HzDFPModes, NoEdidModes"
In Ubuntu 10.10 (and possibly 10.04) you no longer need the udev rule and xorg.conf is slightly different. Xconfigure takes care of xorg.conf for you automatically, and you don't need to make any manual changes to it. The resulting xorg.conf looks like the 10.10 file above, but without the "Files". The "Files" section is gone to let X use its default search paths. This page was last modified on 31 October 2014, at 19:21. This page has been accessed 24,934 times.